The Ultimate Guide to WordPress: Vol II is your comprehensive guide to the world’s most popular CMS. 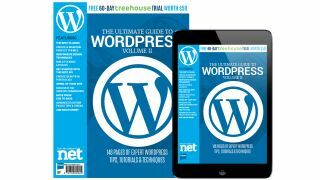 Written by the industry’s leading experts, your free ebook will shows you how to get the best from your WordPress sites. Discover the top themes and plugins, be inspired by the greatest sites built on WordPress, learn how to craft perfect themes, how to make your themes responsive, switch from CSS to Sass, boost your workflow with the REST API and much, much more.